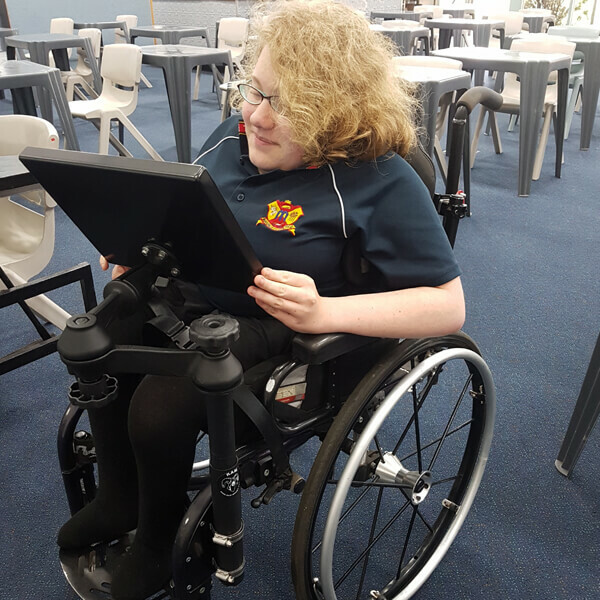 Katia is in high school, and wanted something for her wheelchair that was more flexible than a standard iPad holder. She wanted to be able to hold a book, phone, magazine, iPad, or whatever she needed, and she also wanted it to fold out of the way when she no longer needed it. TADWA’s Bunbury-based technician Dan came up with a clever concept which was executed with expertise. Result: a happy high school student and a job well done!